With its huge expanse of over 3,000 miles of shoreline, LA waters host endless opportunity for charter captains throughout the state. 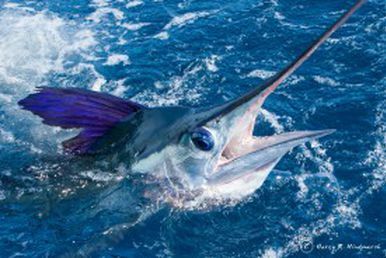 In the fall of 2015, Gulf charter captains, scientists, and fisheries managers began to participate in the largest-ever electronic data collection program in recreational fisheries. We have expanded this program to LA Charter Captains in a continuing effort to improve data collection and build a sustainable future for the charter fleet. The LA Creel ELB Project is set to take off this spring, with installations beginning in early April through mid-May. To improve recreational fisheries data by inviting captains in the LA Charter Fleet to transition from paper catch reporting to electronic reporting. To provide electronically-reported data to LDWF to enhance comprehensive data for fisheries management. Each participant will have a THORIUM unit professionally installed at no charge. Participating captains pay a one-time satellite activation charge of $60 and agree to monthly satellite service charges of $79/month. Each vessel will have a data collection system installed that includes a satellite data communications beacon and a tablet to use for filling out electronic forms. In addition, captains and vessel owners will have access to all of their electronic data. Each participating captain/vessel owner will be provided with security credentials to login and see the data associated with their vessel. To join the project, captains can sign up by calling 240-492-1944, emailing support@clsamerica.com, or clicking thoriumvms.com. Each participant will have a Thorium unit professionally installed. The cost of the hardware and installation are free, along with the first two years of service!